The 2016 SEMA Show kicked off in Las Vegas today, and Chevrolet made the most of it, with about 20 models on display at the aftermarket parts trade show. 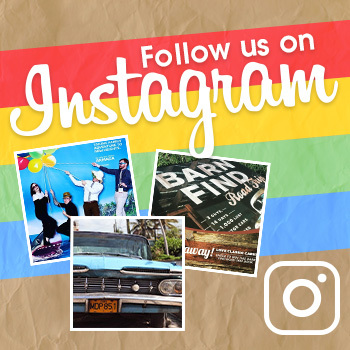 Among the bowtie brand’s many offerings was the Colorado Z71 Hurley concept, a collaboration between Chevy and the surfing performance and innovation brand Hurley. 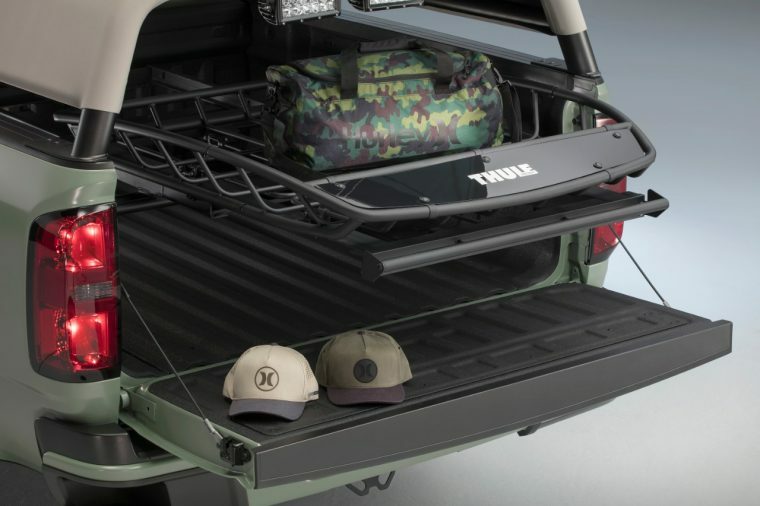 To that end, the Colorado Z71 Hurley features a custom surfboard rack, storage systems, and special water-resistant seat covers made from advanced ventiprene, a material similar to the neoprene used in surfing wetsuits. The Colorado Z71 Crew Cab was also given a concept lifted suspension, 17-inch Chevrolet Accessories wheels, and Goodyear DuraTrac all-terrain tires. In addition to the custom carrier system for mounting surfboards, the concept is also equipped with a custom Bimini-style bedcover that provides shade on a sunny beach and a bed-mounted Thule rack that for hanging up wetsuits to dry. 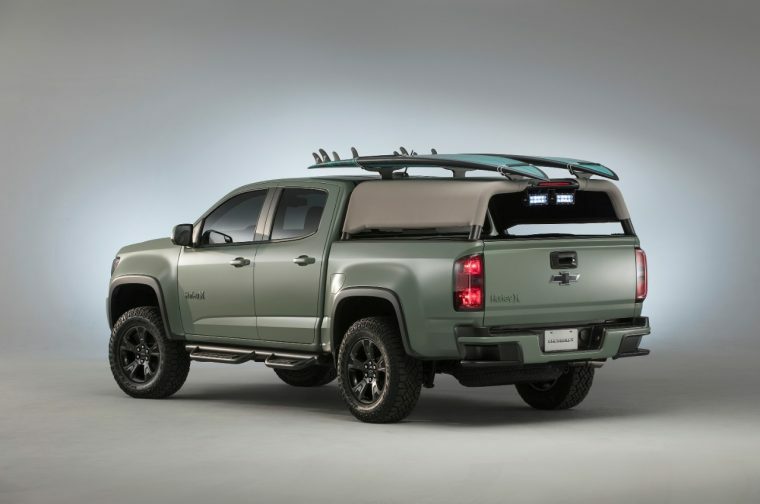 In terms of style, the Colorado sports a custom Seafoam Green exterior appropriate for beach trips. Tone-on-tone Hurley graphics appear on the exterior and skidplates. The Hurley logo reappears in the cabin, which is done up with Khaki Green and Sand Dune-colored material. Other Chevrolet Accessories found on the truck include off-road lights, sport assist steps, and an illuminated black bowtie kit. 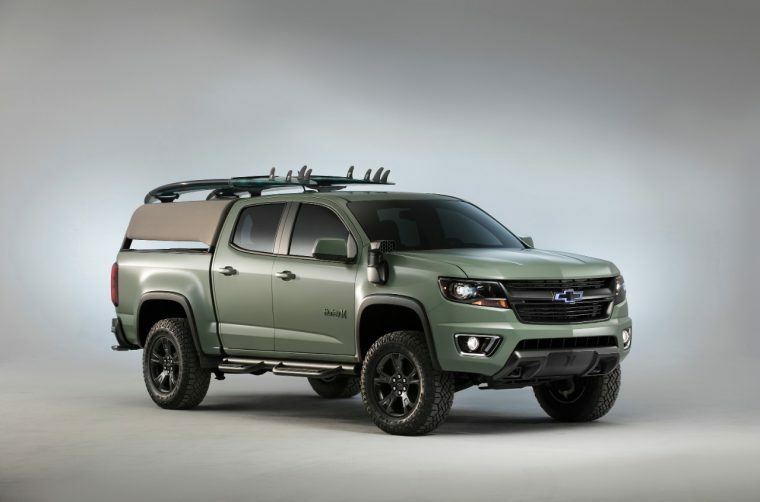 Performance-wise, the Colorado Z71 Hurley concept has been upgraded with a Chevrolet Performance concept exhaust system, which complements the 2017 Colorado’s all-new 3.6-liter V6 engine.